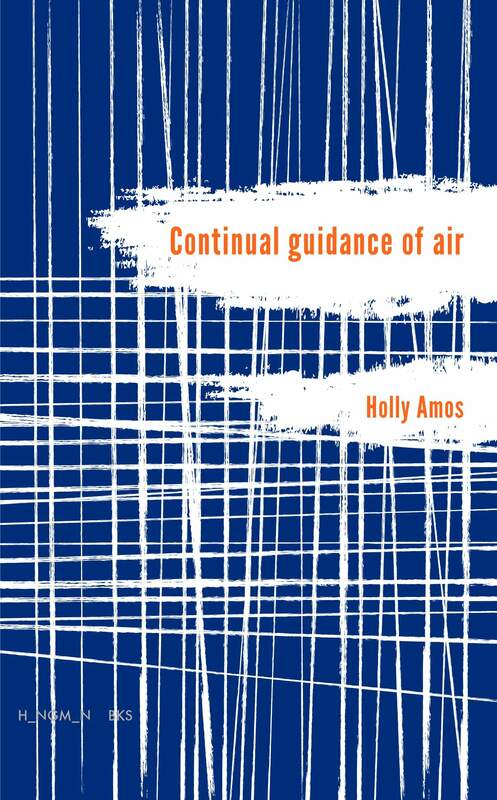 Midwestern Gothic staffer Kristina Perkins talked with author Holly Amos about her poetry collection Continual Guidance of Air, her obsession with experience, finding her community, and more. Holly Amos: Born and raised. I was going to say that I spent over 20 years there but then I realized I STILL live in the Midwest, though Chicago and rural Ohio are two very different places. When I think of the Midwest I think of my childhood—ditches, fields, small patches of trees. The middle of nowhere being everywhere. It’s a place that has deeply informed who I am (and who I am not). It’s a place I both reject and embrace. At some point I forced myself to stop saying “pop,” and I’ve been saying soda for so long now it was hard for me to remember that “pop” is what I used to call it. THAT was the Midwest marker I just couldn’t keep! KP: How has your relationship to the Midwest influenced your writing? HA: In the landscapes, the animals. In the colors. I think certainly in the wanderlust—in the yearning (I hate that word). Growing up where I did is probably part of the reason I read so much as a kid. I read Michael Crichton’s Sphere a lot. The idea that nobody had really seen a giant squid alive, that it lived that far down, was and still is comforting and exciting to me. I think it represents possibility. Not many people leave where I came from, and growing up, my brother and I walked across the field to play with our cousins. In some ways it was really lovely. I’ve just always wanted something back home couldn’t give me. Not that I’ve exactly found it. KP: You work as an assistant editor for Poetry, a highly esteemed literary magazine. How has your job—and all the copy editing, proofreading, and fact-checking it entails—changed how you read and write poetry? HA: Every time I use a tab I feel bad! They’re very unhelpful for typesetting in almost all cases. It’s also made me slow down and better try to recognize the immediate bias I’m bringing to a poem, whether it’s my mood, how much time I have or don’t, what else I’ve been reading lately. I think (and hope) I’ve become a more patient reader. There are a lot of poems I came to love while proofing an issue of the magazine that I didn’t love at first. So if I can tell I’m just not in the mood for something I check myself and come back to it later with a better head. I think that’s helpful for writing, too. KP: In a previous interview, you’ve noted a rise in political, social-justice oriented poetry. Your own work in your debut full-length collection, Continual Guidance of Air, is similarly political, centering the lives of animals in the fight for animal and environmental rights. How do you understand the relationship between poetry and activism? 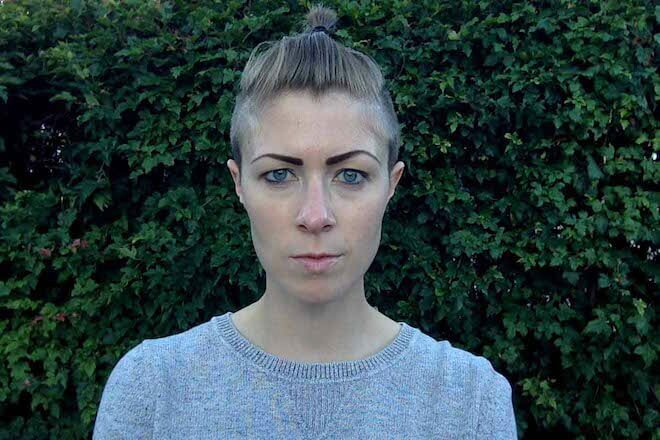 How might poetry be wielded as a tool for political change? HA: I think poetry can be an empathy conductor. It can also be a channel for information. I did a RHINO Poetry Forum recently (shoutout to RHINO!) where I talked about this and used a couple of examples, like the poem “I am not the most important forest you’ve been in” by Beyza Ozer. We are overloaded with headlines all the time, and at some point, I think most people just shut off. It’s easy to not read an article because you see the headline and you know what you’re getting into, so you sort of skim that information because it’s important, but you don’t necessarily engage with it. And sometimes that’s just self-preservation, you know? But poems, by nature, are things you have to engage with. If you don’t, there’s no point in reading. So poets have a rapt audience. It might be limited, sure, but it’s the best audience in the world for creating change, in my opinion. The poem by Beyza Ozer is not titled in a way that alerts you to the fact that it’s political, which I think broadens its reach, in a way. Like if someone is just DONE for the day, just wants to read a poem to sort of escape, they might come to this one. Except the very first line is the type of thing you read in the news. The rest of the poem is political in various ways and not political in various ways. By I think there are so many ways a poem can sneakily encourage openness and empathy in even the most DONE readers. KP: Your poems in Continual Guidance of Air are rawly emotional and beautifully corporeal, navigating the embodied spaces between anger and pleasure, pain and hope. How do you understand the relationship between the body and the poem? How does your work capture this relationship? HA: Thank you for this! I’ve been asked about the relationship between the body and the poem before and it’s really tough for me to answer. The way I think and the way I write are both definitely a product of my obsession with experience. Of how we experience. Of the fact that that it’s physical and mental—that the physical is filtered through our mind, that there are things we can do mentally to impact the physical experience and vice versa. While running my first marathon my feet started hurting a lot toward the end, and I decided to try and control it mentally, since pain is a mental message. In my head, I just started repeating “no pain no pain no pain” and after maybe 30 seconds or a minute it stopped. (This is part of one of the poems in my book, “Specific Motion.”) I’m obsessed with this. I’m obsessed with experience as something we craft, whether directly or indirectly, for ourselves or for other selves, and as something we respond and react to. I mean what else is there? In writing a poem, we are deliberately crafting experience and responding to it simultaneously. I think writing alters the origin experience(s), and also creates a new experience. It’s a blossoming effect. That in and of itself is an incredible thing, and an exciting thing. And to go back to your question, the body is very much part of that. Without the body there might be a type of experience (the soul—or being part of the universe—just atoms, just matter—that’s still a type of experience, in my mind—and it might be something we feel or sense as beings—I don’t know)—but as long as I’m a bodied individual my experience is always going to be directed through that body, until it isn’t. So that feels really necessary to me in writing a poem, because ultimately I am trying to get somewhere deeper or more illuminated. It’s also something I think about all the time in terms of animal rights. What does it feel like to be a chicken in a battery cage, what does it feel like to be a cow who’s just given birth and had her baby physically removed from her hours later so that a person can drink her milk. I’m talking about empathy, but for me empathy is very much tied to mentally trying to imagine a bodily experience. Like a chicken in a battery cage—I know what it feels like to feel cramped on a train. How awful that can be. How anxiety ridden and just physically uncomfortable. And then thinking about my entire life being that experience only. It’s devastating. KP: Relationships—between humans and animals, between humans and humans—form the backbone of your poetry in Continual Guidance of Air. Previously, you have offered a series of “Notes for a Young Poet,” writing: “Find your people / (I’m your people) and hold them all together. A small but / powerful porch of humanness.” How has finding your community—be it among co-workers at Poetry, former peers from your courses, or the animals in your home—influenced your identity as a writer? HA: Oh my god well it’s everything. The first time I really, really felt like I found my community was in grad school. I know I was very lucky to have the people with me that I had. And then I started going to AWP and to readings and was like, “Wait there are more people like this??! !” But up until that point I’d been working at a company that bought real estate tax liens. It wasn’t something I wanted to keep doing, but I had always imagined that I’d keep one foot in the “real world” and one foot in the “poetry world.” When grad school was ending I realized I didn’t want to lose the community I’d found, so I quit that job and decided to apply to anything arts-related. Interacting with poets and poetry lovers at the Poetry Foundation, through The Dollhouse (a reading series I co-curated), and just through being a writer in the world, allowed me to no longer see the “real world” and the “poetry world” as separate. I think that’s a big deal. I also think it influences my identity as a writer. We are all soooo affected by one another, on micro and macro levels. I don’t think everyone wants to feel that all the time, but I think that’s a really important thing to honor AND to wrestle with, and I think doing so is crucial to social change. KP: Describe your ideal writing environment. What (or, perhaps, who) is around you? What are you listening to? What utensils are you using? What are you looking at? HA: I actually don’t like the idea of an ideal writing environment. I am very wary of routine when it comes to writing, wary of developing specific habits. I just worry about stasis and stagnation and I also think it’s important to cultivate openness. So I have a tendency to write lots of places. On a scrap of paper on the train to work, in my phone when I’m outside with the boys who have become ever-present in my writing (they’re dogs! ), or on my laptop during a quick break at work because I just read something that did that thing where you immediately need to move with it. KP: Who do you write for? HA: I’ve been writing new poems that I think/hope are engaged in a broader sense. But I also have been thinking about non-poetry writing a lot and just started an essay about something that is very uncomfortable for me to talk/write about. It’s something that consumes me in many ways, and I’m hopeful it will be cathartic but also helpful to other people. Really, I’ve written barely anything so far because it takes a lot to get into it, but I’m excited about it, which is something! Holly Amos is an animal rights advocate and vegan. She is the author of the full-length poetry collection Continual Guidance of Air as well as the chapbook This Is a Flood. Currently living in Chicago, she is the assistant editor of Poetry and a poetry editor for Pinwheel; she also co-curated the Dollhouse Reading Series.